You know the feeling. You have a blog post to write, a webinar to create, a talk to develop and present…and you feel about as creative as a dried-up old crust of bread. So how can you jump-start your creativity when it’s apparently taken a vacation? Here are five tactics you can apply. 1. Steer clear of negative self-fulfilling prophecies. The more adamantly you assert, “Dang, I just can’t get going on this project!”, the more likely you are to turn that statement into reality. All this kind of defeatist self-talk does is further block your creativity and shove you deeper into that unproductive hole. So clean up your thoughts. You don’t have to try to con yourself with blatantly false statements like, “Boy, what a great job I just did”, but you can bolster yourself with reminders that the situation is far from permanent. One of my personal favorites goes something like this: “Okay, just choose the blog topic and jot down a couple of bullet points for the content; you can do that.” And very often I find that, once I’ve got something written down, the ideas start to flow better. 2. Do something on the project that’s tripping you up. Applying even a little bit of mental 3-in-1 Oil to your frozen-up brain can be enough to loosen your thoughts and get them moving again. I particularly like to set myself a teeny challenge rather than a big honkin’ one. That way, if I get done just the little I committed to, I can still celebrate being further ahead than I was. And if it inspires me to keep working, so much the better. In a case like this, pretty much any action is better than no action. Sometimes the very best thing you can do when you’re stalled is to completely switch gears: Just walk away from what’s hanging you up and move to a whole new task, preferably something physical. 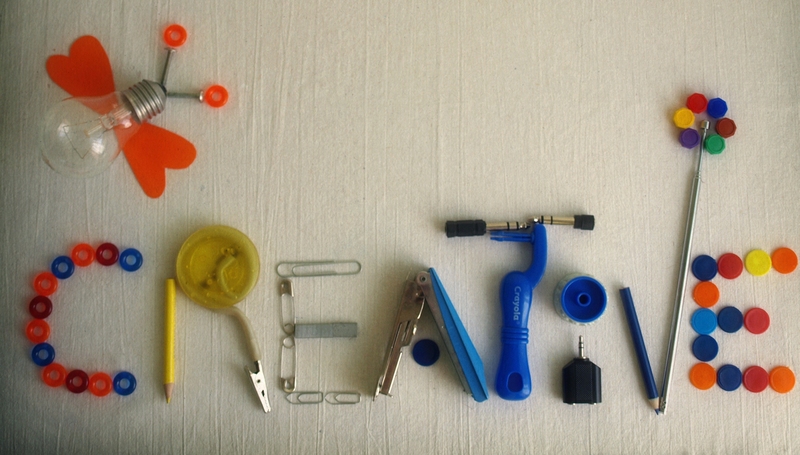 You can’t force creativity – but you can allow it. While this was not exactly fun work, it was certainly satisfying; I could see my progress minute by minute. It also had the advantage of not requiring much mental effort, so I could let my mind wander wherever it wanted. It was a great mental break and got the blood flowing, so I came back to my real work the next day re-charged. 4. Take care of the goose that lays the golden eggs. If you’re so busy working that you ignore your physical and mental health, your priorities definitely need a reassessment. Your body needs time to recuperate from hours of sitting at a desk, staring at a computer screen, and slaving over a hot keyboard. Similarly, your creativity – not to mention the quality of your work, your decision-making, and your analytical abilities – will suffer if you don’t step away from the myriad tasks clamoring for your attention. Some otherwise smart entrepreneurs feel guilty over “wasting time” like this, so they do themselves – and their businesses – a huge disservice by not taking regular R&R. When one of my clients got caught in this trap just this week, I gave her an assignment: Put “take an hour to go walk around outside” on tomorrow’s To Do list and assign it an A1 priority. When I do my weekly accountability check-in with her, we’ll see how she did at re-charging her batteries. You, too, get to be smart enough to take care of that irreplaceable business asset called you. This is another great mindset tool that comes in handy for those particularly deep slumps when you’re starting to view yourself as having no creativity whatsoever. I used to define creativity very narrowly. In fact, when I thought of the term, the only people who came to mind were artists – specifically painters. I didn’t even consider all the people who worked in other visual artistic media, like clay or textiles or glass, much less people whose creativity lay in non-visual-arts fields. So cut yourself some slack. Instead of berating yourself for your “lack” of creativity in a particular situation, acknowledge all the ways and times you are highly creative, and don’t demand you play at the highest level of your “A” game all the time. So what techniques have you found useful when you’re in a creativity slump? Please share them in the comments section below so we can all benefit from them. As thanks for your input, I’ll send you a no-charge summary of my powerful workshop, Thoughts Become Things:The Art of Changing Your Life. And if you liked this post, be sure to sign up for previews of my weekly posts so you can pick and choose the topics that are exactly what you need right now. This entry was posted in creativity and tagged effectiveness. Bookmark the permalink. Thanks for the creativity starters, Kath. Another one that works well for me is preparation. We often think of creativity as this mysterious ethereal thing that comes and goes of its own accord. But I get more creative when I focus my efforts and organize my time. For example, if I decide on several blog topics ahead of time, I have more time to let ideas percolate on those topics (as opposed to ALL possible topics in the universe). By the time I sit down to write, I have some things I want to say. I agree, Jeri: Focus is hugely important. Too many of the clients I work with are so afraid of missing out on something that they try to do everything, which means they do nothing well. Focusing your attention not only helps you stay sane – it also goes a long way toward ensuring that your readers are getting a worthwhile product. Look for your Thoughts Become Things thank-you in your inbox! #1 is so crucial in my startup experiences and life goals in general but can be easy to forget at the most stressful of times. It’s funny how we can even remind ourselves repeatedly to be positive and enterprising but if we don’t build #2, 3, 4, and 5 into our routine then #1 won’t be present when we may need it the most. I’m a firm believer in (a) baby steps and (b) using tools in concert with each other so each supports the other. That means I’m a bit chagrined I didn’t explicitly make the connection you did, about all the other tactics supporting the first one (“steer clear of negative self-fulfilling prophecies”). I’m grateful you pointed it out! Your Thoughts Become Things thank-you will in your inbox momentarily.